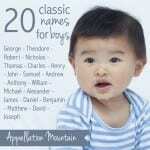 Hale might make a bold, meaning-rich, and unusual name for a son. 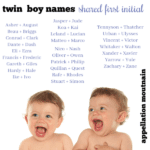 This recent post at Swistle inspired our Baby Name of the Day. If your first thought is “Hail, Caesar,” you’re not alone. The Old Norse heill meant health or good fortune. In Old English, a similar phrase meant “be well.” We’ve been using these kinds of words in greeting since ancient days, at least. The Latin salve serves as a greeting and a farewell, too. It comes from salvus – healthy. I should mention one downside. Heil, the verb in the Nazi salute, comes from the same origins. Still, it’s used across so many centuries and cultures that I think it can overcome those associations. You might also think of the prayer known as the Hail Mary – or a football pass unlikely to succeed without divine intervention. A handful of alma maters and other songs use the term, too. As for the icy weather? That’s from a different root entirely, possibly tracing to an old word for pebble. So hail with an a-i-l refers to health, but so does the a-l-e spelling – even though it doesn’t come from the same root. Hale’s meaning carries a slightly different connotation. It means whole, genuine, robust, a subtle distinction. So which one is hail-fellow-well-met? It’s the first one, but it almost doesn’t matter. The archaic phrase refers to an upbeat, friendly fellow. He’s happy to see you, but perhaps he lacks depth or sincerity. Still, place the emphasis on archaic. You’re not likely to hear any form of the word used as a greeting, to refer to health, or as a description of an overly chatty salesman any time soon. 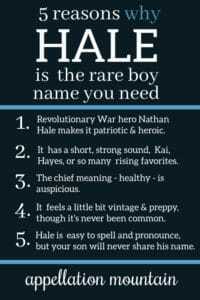 Instead, Hale’s use as a first name probably comes from family surnames. And that takes us to a third – and a fourth, and possibly a fifth – meaning. The surname might come from an Old English and Middle English word for a hollow, making this a topographic name, along the same lines as Hill or Lake. 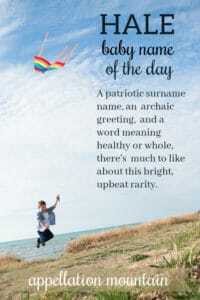 Alternately, it might come from a word meaning hawthorn, or the Old English hæle, meaning hero or warrior. That last possible meaning is irresistible. But it’s not the first one that comes to mind. Though while we’re talking about heroes, there’s Nathan Hale. A Revolutionary War solider turned spy, he was arrested behind enemy lines. Before his execution, he declared, “I only regret that I have but one life to lose for my country.” Or so legend tells us. He’s considered a patriot and a hero, memorialized in ballads and statues, in the name of countless schools and at least one Navy submarine. Plenty of places are named Hale, too; some in his honor. That makes this a quintessentially Americana choice, less expected than Lincoln, a brother for Knox. There’s also a leading early twentieth century astronomer with the surname, for whom craters on Mars and the moon were named. Many years later, another astronomer with the same surname identified the Hale-Bopp comet – though they’re not related. And Hale Tharp went west during the California Gold Rush, settling in the future Sequoia National Park in a cabin hollowed out of a giant sequoia. Now known as Tharp’s Log, it’s still open to visitors. But has anyone actually been named Hale, as a first name? Way back in 1896, it briefly entered the US Top 1000, only to depart the following year. The science fiction series Lost Girl included a character by the name not long ago. History gives us a musician, an artist, and a handful of politicians and athletes. 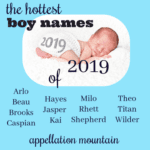 The numbers show a steady drip of boys – and the occasional girl – named Hale. 26 boys way back in 1931; 9 boys in 1964; 20 in 2016; and 16 in 2017. It’s rare, but accessible. 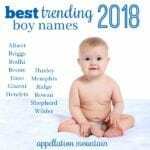 If you’re seeking a surname-style name both brief and surprising, rich with meaning but not quite a word name, Hale fits perfectly. What do you think of Hale? Would you consider it for a child? What meaning appeals to you most? I love it! I’m Australian and I have certainly heard (and said) ‘hale and hearty’ and in our accent it doesn’t sound the same as Heil. But it does sound like hail (as in ice). We also ‘hail a taxi’ which which would be the most common usage day-to-day. 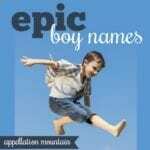 I really like single syllable names for boys. I think they wear so well for all age groups. Do you class this as a Marian name or does the spelling change Hail/Hale make a difference there? There is a super-popular Benjamin Moore paint color right now called Hale Navy. Not sure of connection but I really like the paint color! I like it on paper, but I have enough relatives with strong southern accents that i know it would be a mess. Hale sounds too much like a southern-accented “hell”!